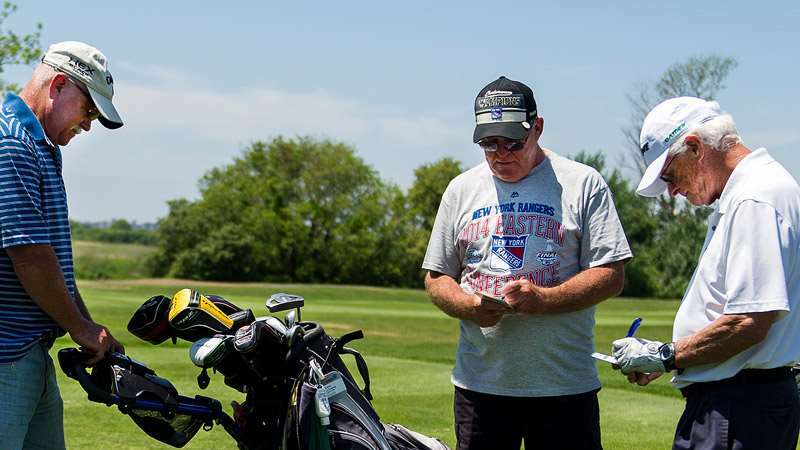 USGA Handicap Indexes are issued to individuals only through recognized golf clubs. The USGA Handicap System requires that a golfer be part of a club so that “peer review” is part of the handicap process. Every Kentucky Golf Association Member Club is licensed to issue handicap indexes! If you belong to a private club you should contact the handicap chairperson to be added to the KGA/GHIN handicap system. For the many golfers that do not belong to a private club you can still receive a GHIN handicap from many KGA member clubs. Several public facilities offer a "handicap only" service which will allow total access to a GHIN handicap. I don't really play in tournaments, why do I need an official KGA/GHIN handicap? The broad appeal of golf is the unique and equitable handicapping system. The purpose of the USGA Handicap System is to make the game more enjoyable for golfers of all abilities. So whether you participate in tournaments or not, an official KGA/GHIN handicap will allow you to see the improvements in your ability or compete more equitably with your playing partners. Once you've joined a golf club and posted five adjusted gross scores you will be issued a KGA/GHIN handicap once a revision date passes. To view a directory of courses offering handicap indexes just select the Club Directory link below and search for a public facility in your area. KGA Green-Grass Clubs are KGA golf clubs located at a specific golf course. A KGA Green-Grass Club can be a private, semi-private, public, or resort golf course. Contact the club directly to get started! If you are a member of a KGA Member Club and are a GHIN handicap holder, you are already a member of the KGA. If you are a GHIN Handicap holder through a KGA member club you are already a member of the association. If not, an official KGA handicap is available to all golfers throughout Kentucky who wish to take advantage of the benefits of belonging to the oldest state golf association in the country. The cost of joining the KGA online is $30 per year and includes several member benefits.